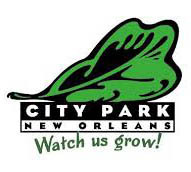 The New Orleans Town Gardeners is partnering with Grow Dat Youth Farm in City Park New Orleans to remove invasive plants from a portion of their land, much of which is trails through woods. After the invasives are removed, we will replant with native plants, which our club has propagated. 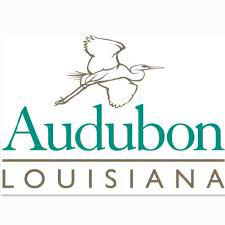 We will also be partnering with the Audubon Louisiana, New Orleans chapter, as Grow Dat is located in a birding corridor. Grow Dat nurtures a diverse group of young leaders through the meaningful work of growing food. They produce 20,000 pounds of fresh produce each year which they then sell at local farmers markets and road side stands through out the city. The New Orleans Town Gardeners mission is to complete a GCA P4P project in New Orleans which combines the goals of a P4P project, those of our club and of Weed Wrangle®-New Orleans, to promote healthy plants and inform youth in our city to be guardians of our natural world now and in the future. The Mission of the Grow Dat Youth Farm is to nurture a diverse group of young leaders through the meaningful work of growing food. Located on a seven-acre site in New Orleans’ City Park, Grow Dat Youth Farm operates a two-acre sustainable farm. Each year, we grow and harvest an average of 12,000 pounds of fresh produce. Seventy percent is sold at our farm stand and at farmers’ markets (run by our youth employees). Thirty percent is distributed through our Shared Harvest program, to low-income residents who otherwise have little or no access to fresh food. At Grow Dat Youth Farm, we use chemical-free farming methods to build a resilient sustainable agricultural system. To us that means producing food by supporting natural ecological systems and stewarding natural and human resources for the future. We do not use chemical-based pesticides or fertilizers. Instead, we utilize techniques such as cover cropping, composting, companion planting, farmscaping and crop rotation to stimulate micro-biological activity and soil health. 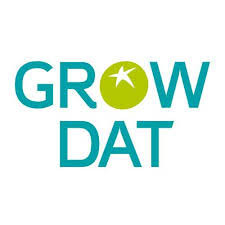 At Grow Dat, young people from across New Orleans come together in a safe, welcoming space to engage in deep learning and communication across race, gender, class, sexual orientation, and other differences. We believe in supporting the work of young people as they develop the skills and experience to be leaders in a diverse and inclusive society. We come together in research and practice to support public health, local economies and a sustainable food system in South Louisiana. On our farm we work collaboratively to produce healthy food for local residents and to inspire youth and adults to create personal, social and environmental change in their own communities. City Park New Orleans is as magical and unique as the city of New Orleans. The 1,300-acre outdoor oasis has enchanted New Orleanians since 1854, making it one of the nation’s oldest urban parks. Each year, millions of visitors stroll under the same historic oaks and picturesque moss canopies that served as the backdrop for dances, concerts and even gentlemanly duels or “affaires d’honneur” for generations. The crown jewel of City Park: the world’s largest stand of mature live oaks, which includes a grand oak that dates back nearly 800 years. These unique trees are known for their distinctive sculptural shape – some of the oldest trees have limbs that are twice as long as the oak is tall. Take our word for it: there is no better place in New Orleans to take a good book or a great nap than underneath City Park’s famous oaks. Also in City Park, located on a seven-acre site, is Grow Dat Youth Farm operating a two-acre sustainable farm. The City Park birding corridor preserves and creates an essential habitat for the birds of South Louisiana. This project is a collaboration among the Audubon Society of Louisiana, the local Chapter of the Audubon Society here in Orleans Parish, City Park and Grow Dat Youth Farm. Enjoy the ‘birdwalk’ that overlooks the bayou and provides great opportunities to view resident and migratory birds. This beautiful space creates tremendous learning opportunities for our youth employees, students visiting on field trips and the wider public to learn about how to protect spaces in our region that are critical to the on-going survival of many incredible species of birds. At Audubon, we believe that where birds thrive people prosper. Nowhere is this more evident than in Louisiana. Audubon Louisiana is part of a growing, powerful collaborative to deliver ground-breaking approaches to coastal conservation at very large scales and our research supports conservation and restoration policies and practices that are balanced with the needs of the local economy and culture. Audubon’s conservation approach that follows the migratory bird flyways places Louisiana at the fulcrum of a number of key initiatives within the Mississippi Flyway.